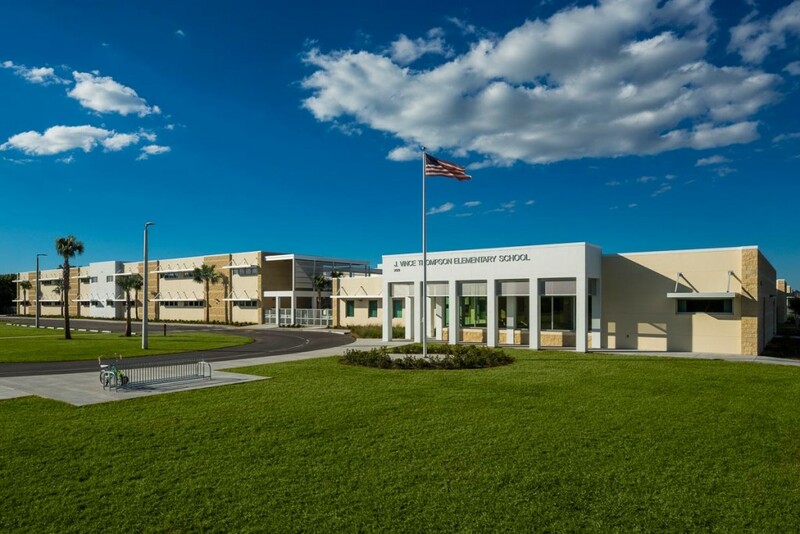 KCA provided water, sewer, stormwater, paving, and grading design services for this $14.3 million new elementary school in Ruskin. The 108,000-square-foot facility is the first public school in Hillsborough County to be LEED-certified, designed to have lower operational costs and save resources. Features include dedicated parking for fuel-efficient and low-emission vehicles, reduction of light pollution through shielded site lighting, water-efficient landscaping, more classroom windows for increased daylight usage, carpeted classrooms for enhanced acoustics, and the incorporation of local and regional materials. Construction was completed in August 2014.